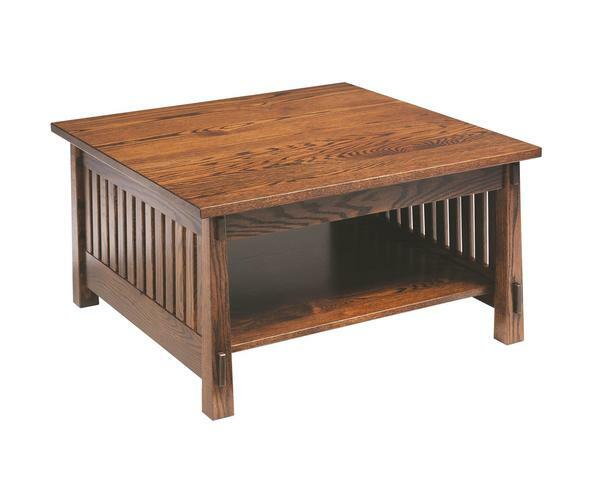 With a deeper, shorter size than our other Country Mission Coffee Table, our Amish Country Mission Square Coffee Table presents a nice-sized space to sit around and enjoy some conversation, and maybe some coffee or a snack. The size and look of this table fits perfectly with our Country Mission Love Seat or a couple of Country Mission Chairs. The exposed tenons and slat sides express a transitional style of furniture that adapts well to any room. Being hand-crafted from solid wood by our Amish wood workers, quality and durability are nothing short of amazing. Ask our furniture specialists about the variety of finishes and wood to choose from.